I made a temperature controller that uses K type temperature probes. This is useful for a Kiln, Powder coating, Aluminum Metal Smelter, and many other projects! 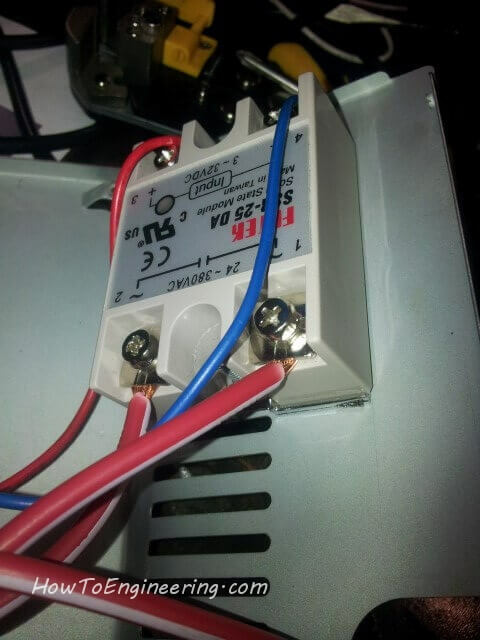 This is the solid state relay (Amazon) that controls the outlet. 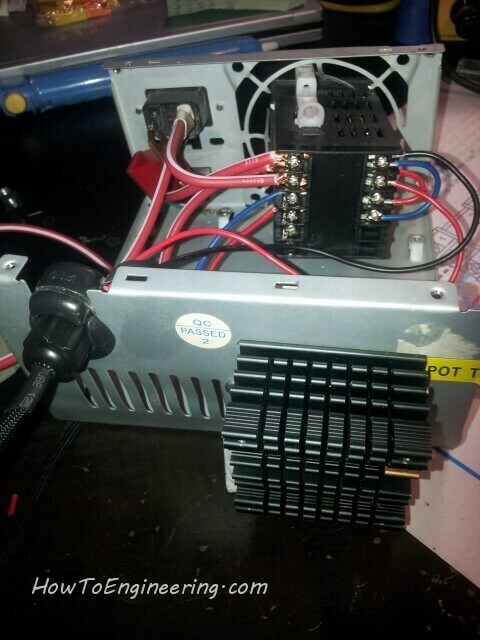 I added a heat sink (Amazon) to keep the solid state relay cool. You can see the fins changed to gold where I used the plasma cutter to make screw holes. 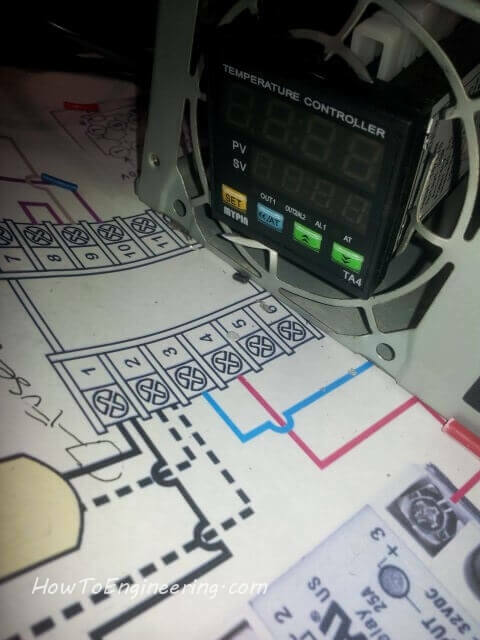 I followed a wiring diagram I found online to wire the thing up. 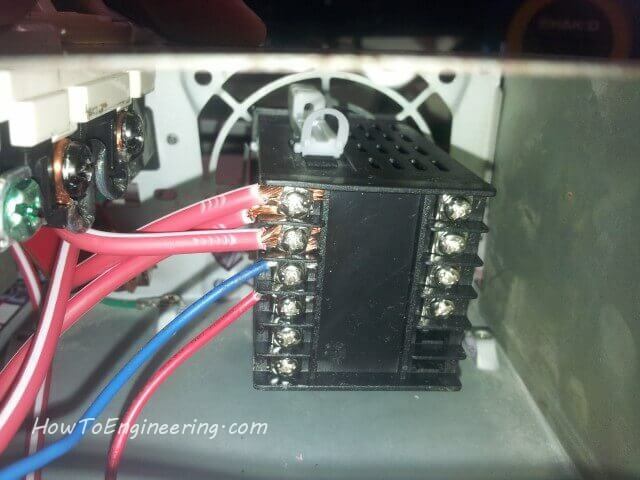 Thicker wires for the high amperage (plugs) and thinner wires for the relay trigger and temp sensor. I installed a switch plug combo (Amazon), so I can turn off the heater and have the temperature controller still show me the current temperature. 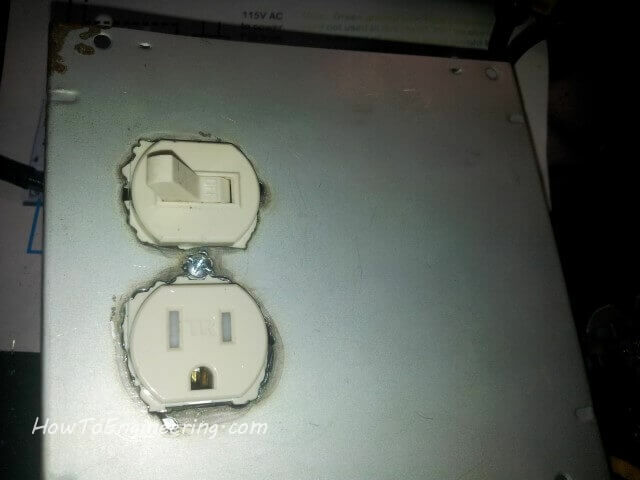 You can see how I plasma cut the holes for the plug/switch. First time cutting anything like this with my plasma. Now I have the wiring for the temperature probe (Amazon). 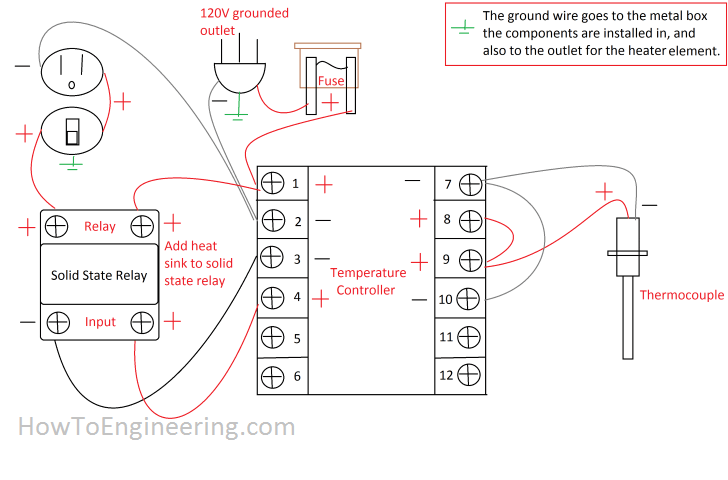 Here is a wiring diagram I made to show you the wiring I did. These are my temperature probes (Amazon). 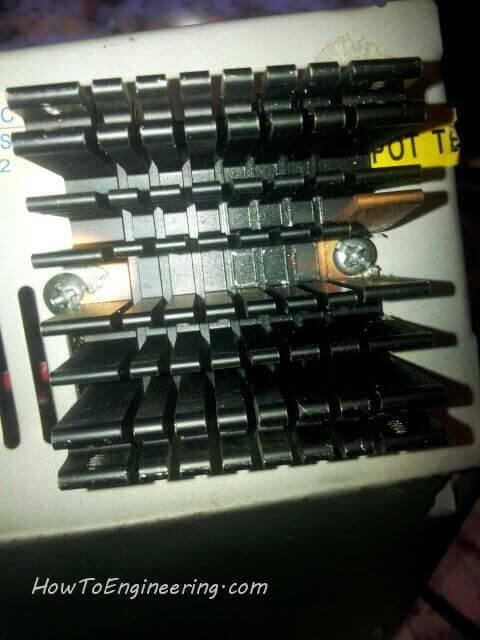 I had to add the connectors to them. 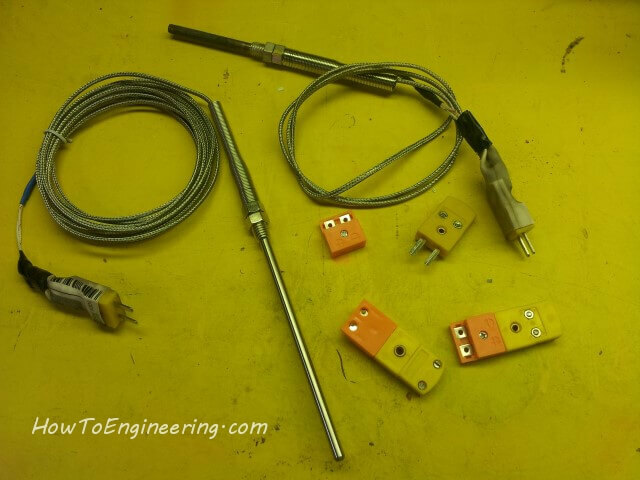 This is the proper connector for this type of probe. 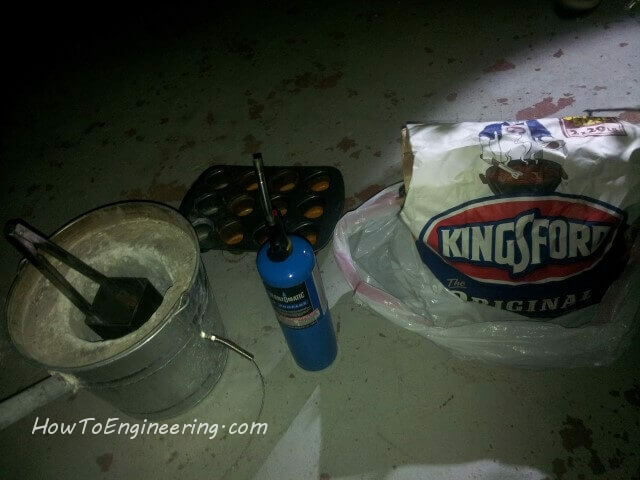 The larger probe is for my powder coating oven, and the smaller one is for my metal smelter. 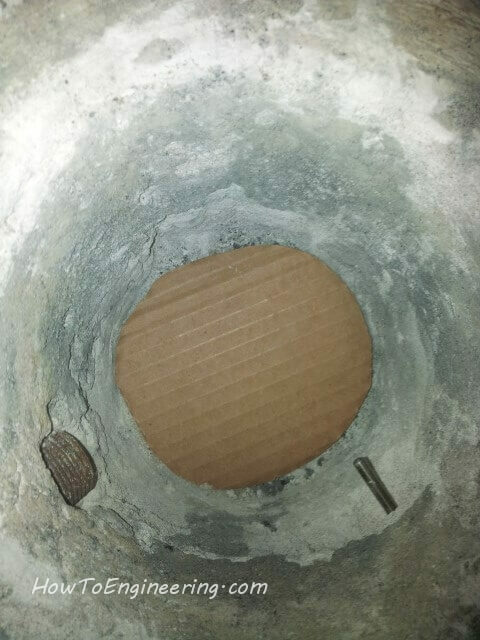 I add a layer of card board to insulate the crucible better. 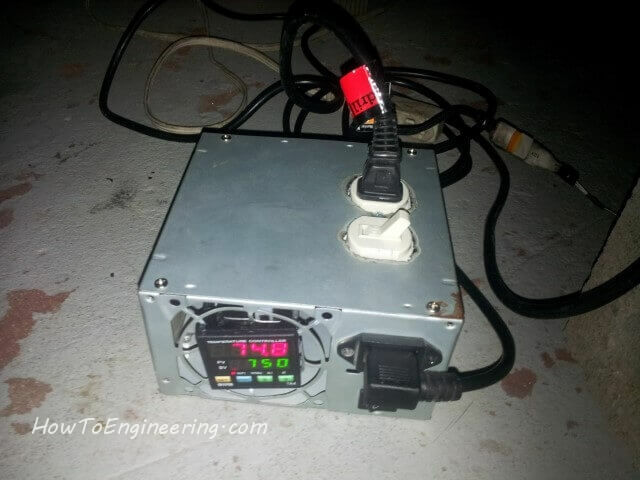 I also plan to use this Temperature Controller for my modified oven for powder coating. 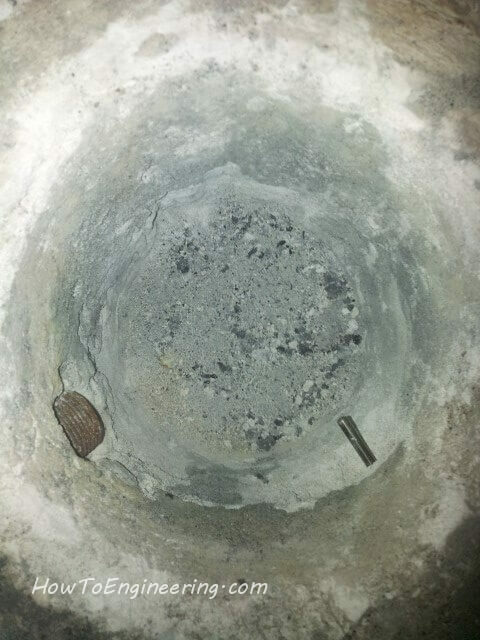 Previous Previous post: Torn Apart – See Inside an older bath tub shower valve assy.